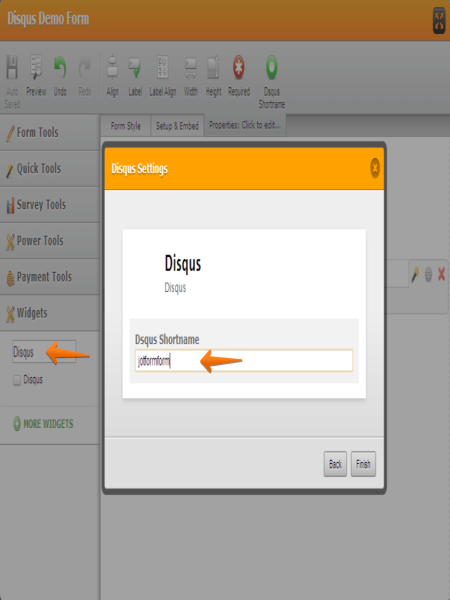 With Disqus Widget, you can now easily add comments and suggestions box section to your form. With a threaded comment and replies feature, Disqus makes commenting easier and more interactive. Instantly connect to your form users right into your form. Try it now! This is fantastic! 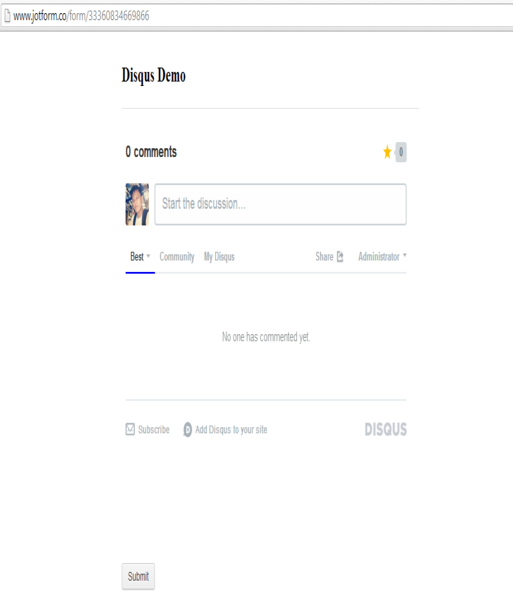 I having been trying to embed my Disqus widget using HTML. Thanks Jotform! You are welcome! :) Love it too!